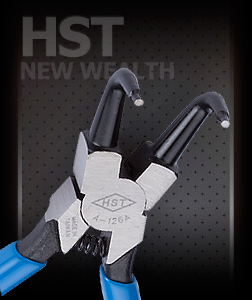 New wealth Industrial Company Limited was established for professional hand tools in 1986. We have been devoted to Research and develop the most effort saving, durable, and portable tools till now. We offer OEM and ODM business service, H.S.T and T.P.K are our owned brands. We insist on producing high quality products, so we not only have precision production machines but also precision inspection instruments to make our products better and better. Since its establishment, the spirit of good faith and treat customers, in response to environmental advantages. Joint development of new functional products, all aspects of innovation coupled with sophisticated technology research, completed with quality.